As an IIN qualified traveling Health Coach, I can easily clock up a couple of hundred kilometres per week and let me be clear — I’m not sauntering through Whole Foods on my lunch break. 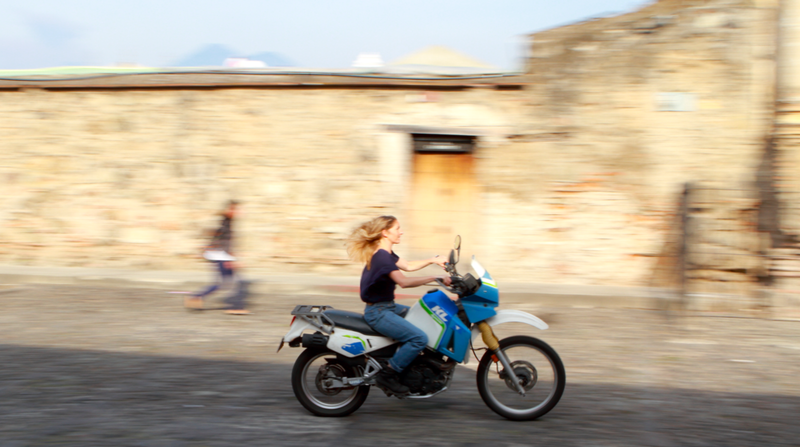 Traveling around on a motorcycle, my current location is Guatemala. Smaller than the state of Louisiana, Guatemala packs in enough diversity to entertain even the most seasoned traveller for months, definitely one of the best countries in Central America to visit. Staying healthy on the road can be challenging at times and I’m definitely guilty of the quick-bag-of-nuts lunch on occasions but generally, after ten years on the road and whilst leading healthy-holiday adventure style trips all over Latin America, I’ve managed to stay fit and healthy whilst following a plant based diet. If you’ve ever felt uninspired at the thought of another bread roll or quick bag of nuts whilst traveling, here are the top 5 tips I teach my Health Coaching clients, many of them travel regularly for business and struggle with trying to stay healthy on the road. If you’re on the move or at a breakfast buffet (lucky you) keep an eye out for watermelon, cantaloupe, strawberries, grapefruit, pineapple, apples and pears as they’re are all extremely high in water content. Keep your eyes open for foods that have been processed or refined as little as possible and that are free from additives or other artificial substances. Whole foods are good for your energy levels, digestion and aren’t just confined to a kitchen, although I love chocolate chia pudding which requires blending and refrigerating, a whole food mindset is the best one to take traveling with you too. A couple of years ago I did a (epic, even by my standards) motorbike trip from Guatemala City to New York City. After ten plus years on the road, the trip confirmed that as wonderful as they are, we don’t actually need health food stores or juice bars to stay healthy, even the smallest village or town in the most remote location will have a supermarket and fresh produce market — enjoy the experience and be open to whatever your current geographical location has to offer. You’re in an unfamiliar location and you’re starving — a dangerous combination! Here’s a list of whole foods to look out for that are high in protein which is the key to feeling full, the perfect antidote to panic eating. Avocados, shelled peanuts, pumpkin seeds, sunflower seeds, dates, figs, dried Apricots, goji berries and bananas. I would love to know which one of the above you can put into action today, let me know in the comments below. "HOW TO STAY HEALTHY ON THE ROAD — TIPS FROM A TRAVELING HEALTH COACH"